01 Mar Criterion Team to Participate in Las Vegas Corporate Challenge…Again! 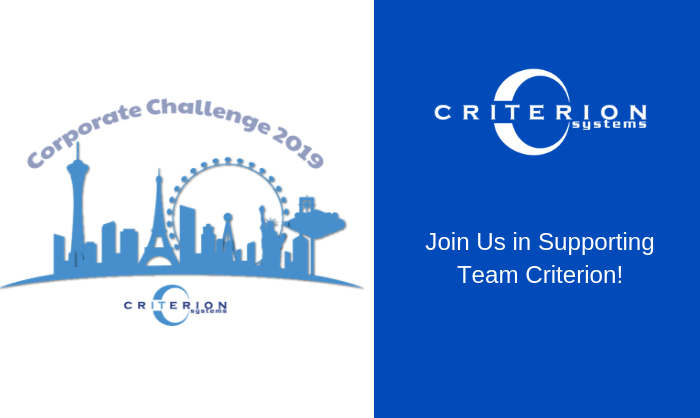 For the second year in a row, a team from Criterion will be participating in the Las Vegas Corporate Challenge, which runs March through May. This is the largest amateur sporting event in Nevada, with 18,000 employees from more than 125 regional companies participating. We will be posting photos throughout the challenge on our Facebook page. You can also visit the official Facebook page for the Challenge as well for updates.